The key to this weekend’s Colorado BBQ Challenge in Frisco is to be found, not in the stomachs and taste buds of participants, but in their pockets. Silverthorne-based company YodaCom has developed a smartphone app specifically for the event. This is not YodaCom’s first Summit County-based app. The company also created an app for the Tubbs Romp to Stomp event in March. The success of the app with that event led YodaCom’s Jeremy Black to approach the town of Frisco about coordinating one for the barbecue. “We really felt that an integration of being able to provide people with information right in their pocket, as well as integrating the Frisco merchants and being able to showcase … what Frisco is as a whole, is a great idea,” said Suzanne Lifgren, marketing and communications director for the town of Frisco. Black and YodaCom developed the app free of charge and have worked out a way to further benefit the six local nonprofit organizations partnered with the event. While the app automatically lists the event vendors, it also offers the opportunity to list other nearby businesses. When visitors use the app, they can look up categories such as food, nightlife and shopping, for which many Frisco or Summit County businesses could be listed. It costs $100 for any local business that wants to be included in the list of venues that appear on the app. 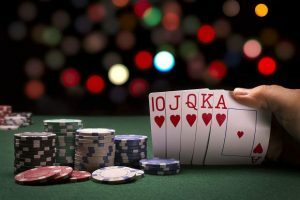 That $100 will then go to benefit Advocates for Victims of Assault, the Summit County Restaurant Association, the High Country Conservation Center, Mountain Mentors, Women of the Summit or the Summit Independent Business Alliance. While each of these nonprofit organizations receives a percentage of proceeds from the barbecue itself, 100 percent of the proceeds from the money given to the app by businesses will go to the nonprofits. Black described the setup as a win-win situation for the nonprofits and the listed businesses. The barbecue event usually draws more than 30,000 visitors into the county, all of whom are looking for places to stay, eat and shop. With the barbecue app, these visitors will now have all that information within easy reach. “I don’t know about you, but when I travel I’m so dependent on my phone,” Black said with a laugh. 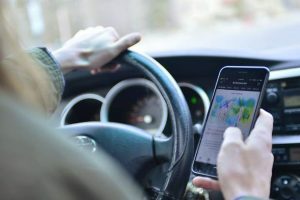 Not only can app users find various businesses nearby, they can get walking directions, phone numbers, websites and sometimes a QR code linked to deals and specials. 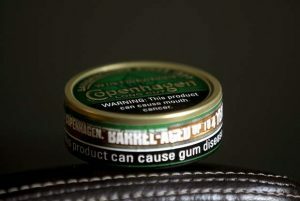 “It’s a way to connect to customers in a way that you’ve never done before,” Black said. The phone also allows for an update to go out in case of a change in event times or venues. This is a relief to Lifgren, who said the only other way of identifying people of sudden changes is paper signage or loudspeaker announcements. Aside from functionality, the app also offers some fun features like sharing photos on Facebook or Twitter and listening to a clip of the featured band. It even has a ‘find my car’ feature for those fearful of forgetting their parking spots. In the end, Black and Lifgren hope the app not only allows people to enjoy the event but introduces them to the town and county as well. 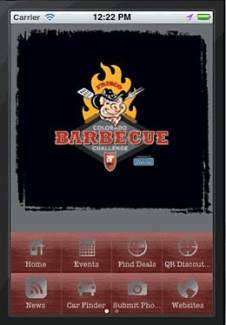 The app is available in the Apple and Android store as friscobbq. Those wishing to donate to any of the six nonprofit organizations can do so at http://www.np.yodacom.com/frisco-bbq-app-donation/.